Gone are the days when parents dedicated quality time for telling interesting stories to their children. The ever-growing popularity of gadgets, tremendous work pressure, busy schedules, lack of time etc has led to parents spending less or almost none of the time when it comes to storytelling for kids. How many of you know the importance storytelling can have on the personality development of your kid? The answer is very less. This age-old tradition of storytelling was followed by our parents too when we were young and we all have enjoyed the stories they have told us during our childhood. Why not set aside some time so that your own kids too enjoy listening to and imagining those interesting and colorful stories. 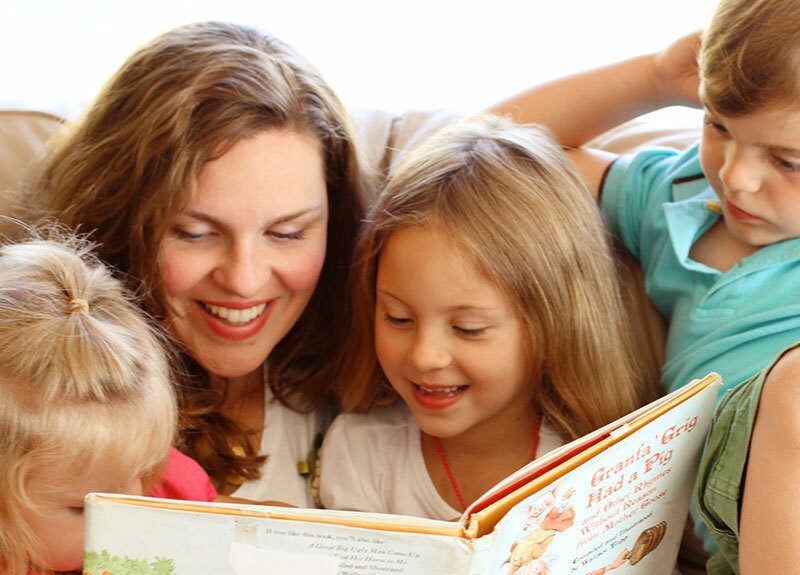 Storytelling for kids as the name suggest is simply reading stories from your favorite story books to your children. If you are in a situation where you do not have a story book, you can very well share your own experiences from childhood too. The benefits are enormous and in this article we will take a detailed look in to the advantages storytelling can have on your kids. The curiosity that a story could generate in your children while listening will also make them help learn new words and phrases which they do not understand while you explain the story to them. It also speeds up the learning process in your children which could have taken more time otherwise. Most often kids do not give attention to a particular thing for a long period of time and they also do not concentrate on anything for long too. You might have noticed your kids talking more than lending their ears to what you have to say. Storytelling to a great extent helps resolve this problem. The interesting the story is, the more attentive your kid would be. Thus you can notice substantial improvements in the listening skills of your children through storytelling. You can ask your children to explain the story that you have read to him or her after a few days. This will help your children to memorize the story and tell what they remember to you. Thus storytelling improves the memorizing abilities in your kid and improves concentration while listening to the story. Your kids usually try to imitate the favorite characters they hear in the stories. Therefore it is very important that you tell stories that convey a meaning message to them which helps them showcase wisdom, honesty and courage at an early age itself. By explaining some of your childhood memories as stories to your children, it will help them remember and understand their own culture including the activities, traditions or customs you might have experienced in your childhood. You are helping your kids to learn the tradition and culture of your own family by explaining the stories from your childhood. Storytelling can help your kids become more creative since listening to stories will make them imagine the characters, places and the happenings through a visual medium even though parents are simply reading the story from a book. Storytelling can have a very positive impact in the academic learning process too in your kids. Many children tend to learn their chapters in their school text books without exactly understanding the matter. By reading stories to your kids, they create a habit of understanding the story in a better way which also reflects while learning their subjects too. The parents can identify which of the subjects are boring for their kids and they can take some enhanced efforts to convert the boring chapter of the specific subject in to an interesting story. Instead of being hesitant in asking a question, storytelling will encourage kids to come up with some right questions due to the curiosity of understanding the story clearly. Interesting article. Which is the best website providing short stories for kids?